Apiwraps is dedicated to providing products of the highest quality. We are confident you will love everything you have ordered, but if something isn’t right, please let us know.  If you are having trouble using Apiwraps please read your packaging carefully, look at our Facebook page, Youtube channel and FAQ page to make sure you’re on track! If you’re still not sure, be in touch – we’ll talk you through! Apiwraps online orders are shipped with Australia Post from Maitland LPO in NSW. Delivery is estimated at 4 business days of East Coast Australia and 7 business days for other states. Please allow 10 business days before making a claim for re-dispatch or refund. International orders are estimated at 12 business days for metropolitan areas and a maximum 45 calendar days will be allowed before re-dispatch or refund on missing orders. Our quality control teams inspect all deliveries to ensure the products you receive meet our exact quality standards. However, if you do receive a faulty or damaged product, please contact us to arrange a free return delivery and replacement or refund. Note Please do not return any goods prior to making contact with us. ​www.apiwraps.com and www.apiwraps.com.au (“this website”) is operated by Apiwraps (“we”, “us”, “our”). We respect the privacy of our website users (“you”, “your”) and are committed to protecting your security and privacy. We collect selected information about you through our websites in an effort to improve your shopping experience, as well as to occasionally communicate with you about our products, services and promotions. We do not sell or rent your personal information to third parties. We release account and other personal information only when required to comply with law; facilitate court proceedings; enforce or apply our terms and conditions; or protect the rights, property, or safety of Apiwraps, our users, or others. To internally analyze trends and statistics. We take website and credit card security extremely seriously, and always endeavour to provide a secure safe platform on which to conduct online transactions. www.apiwraps.com uses the industry standard Secure Sockets Layer (SSL) protocol, which encrypts your information as it is transmitted over the internet. This encryption scrambles details such as credit card number, billing details and delivery address so that other computers are unable to decipher the information, ensuring privacy and security. To make sure you are accessing a secure server, check for the unbroken key or closed lock symbol located generally either at the bottom left or top right of your browser window. If it appears, then SSL is active. You can double check this by looking at the URL as well. If SSL is active, then the first characters of that line will read ‘https’ rather than ‘http’. It is important for you to protect against unauthorized access to your password and to your computer. Ensure you logout when you have finished visiting www.apiwraps.com especially if you access www.apiwraps.com from a shared computer. When taken to third party websites via links on our site, you will be subject to the third party’s privacy policies. While we support the protection of privacy on the Internet and take care not to post links that comprimise the privacy of our customers, Apiwraps cannot be responsible for the actions of any third-party web sites.